This strategic listing is located in the heart of Seminyak. The plot is 11.38 are and it would be a perfect place for a family home or a villa development, where one can be used for holiday rentals to generate extra income. This premium piece of real estate has direct road access to Seminyak main road. Shopping, restaurants, cafes and entertainment, all is within walking distance, yet the location is such that if affords privacy. 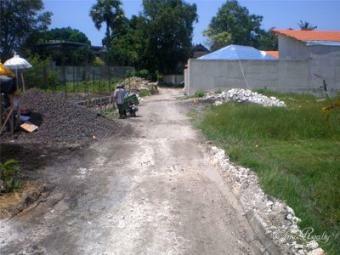 The asking price is IDR 7,500,000 /are / year which is below market price in the area. The land has its own private access road. Electricity, telephone lines and water are easily available, which makes the land ready for development.